The Dirty Kanza Finish Line Celebration has become a major event in downtown Emporia. 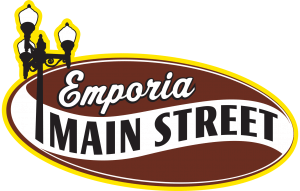 Emporia Main Street has grown and cultivated a festival-like atmosphere for adults and youth alike at this event. In 2019, significant changes will be made to increase the number of families that come to the finish line to enjoy the festivities. Part of this initiative includes bolstering the Nex-Tech Wireless Kids Zone which will be located in the 600 block of Commercial street. Emporia Main Street, in conjunction with Nex-Tech Wireless, are currently accepting proposals in response to this RFP in order to find a qualified organization to partner with Emporia Main Street to help promote and manage the Kids Zone during the official Dirty Kanza Finish Line Celebration. The Kids Zone will run on Saturday, June 1st (2019) from approximately 11:00 AM – midnight. -Will be responsible for the oversight and operations of the Rock Wall and Super Slide (2:30pm-8:30pm). (Persons running these attractions must be 18+. There must always be 3-4 people at each attraction at all times). -Will be point of contact for vendors located within the 600 block. -Free booth space within the Kids Zone (you are welcome to sell additional products from your booth). 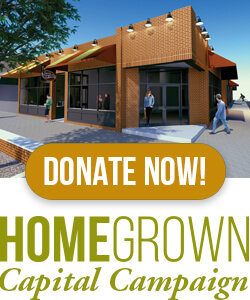 -If your organization has an idea for an evening activity, we would be open to conversation. -Managing partner will receive funds generated from Rock Wall and Super Slide. Description as to why your organization should be selected.